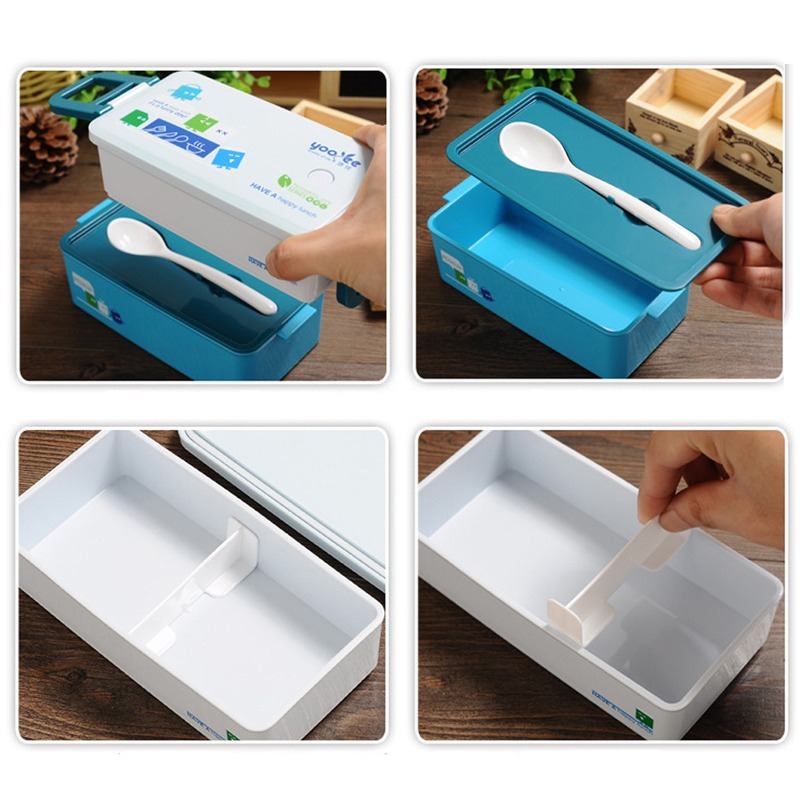 Notice: Please allow 2-3% error due to manual measurement and make sure you do not mind before ordering. Please understand that colors may exist chromatic aberration as the different placement of pictures. 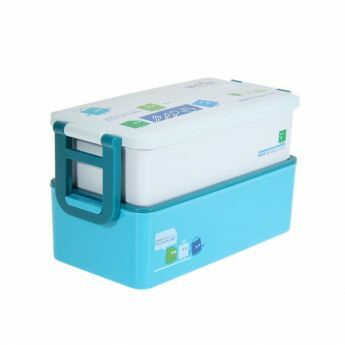 If you are looking to pack more food for your grown-up kid then the double layer 850 ml Bento Box is your ideal choice. 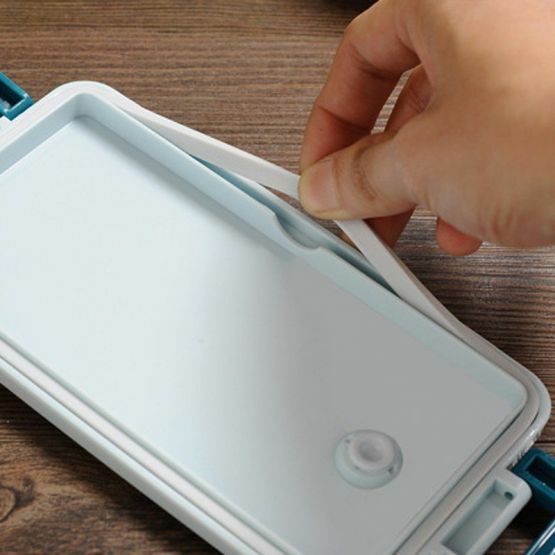 The double layer food storage box is made using high-quality plastic and is perfectly suitable for both adults and children. 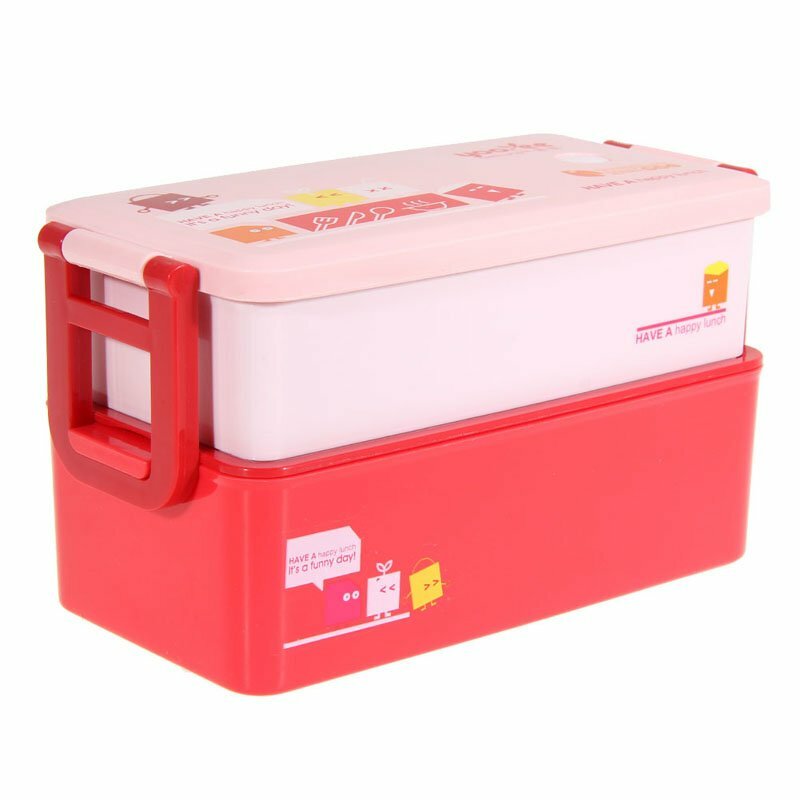 You can also carry it along with for office, picnic, school and also use it as a food keeper. It is completely dishwasher safe and hence it is easy to clean and the safety snap lids ensure that your food is completely safe. The double layer reusable lunch storage boxes enable you to separate your food as you can keep all your fruits and nuts in the bottom and pack your nourishing vegetables on the top layer. The lower section has a separate lid as well as the top layer. The clamps which ensure that the two layers stay intact is also easy to open and close. 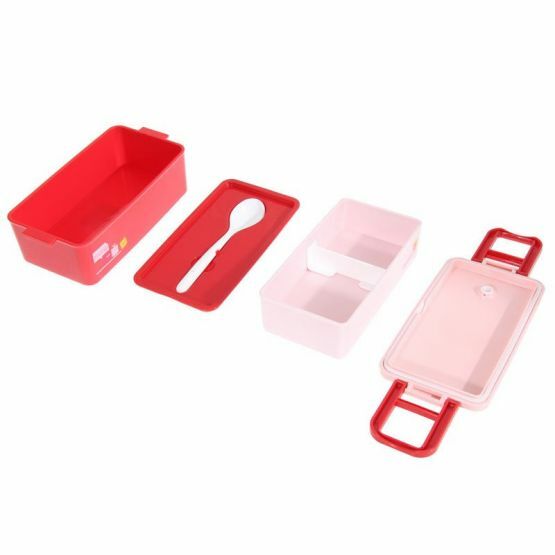 With the classic double layer bento box you can store a large number of food items to a maximum of 850 ml and hence you don’t need to worry that your kid never goes with less food again. These lunch storage boxes come in two different colors including blue and red. 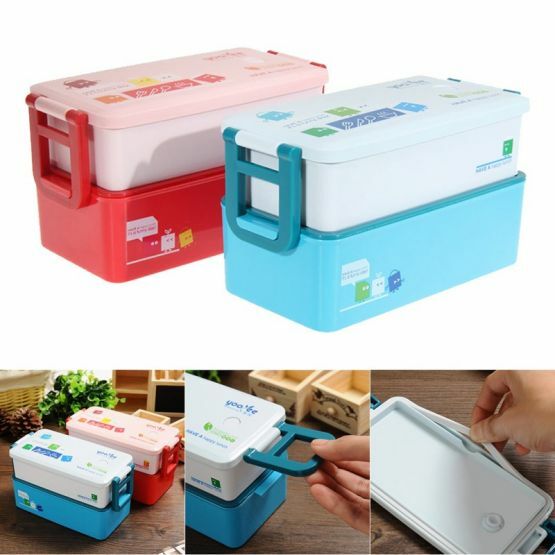 But it is not completely blue, as the bottom layer only comes in either blue or red and the top layer is always white. The lunch boxes have a separate section to keep your spoon as well and which is also included with the lunch box. 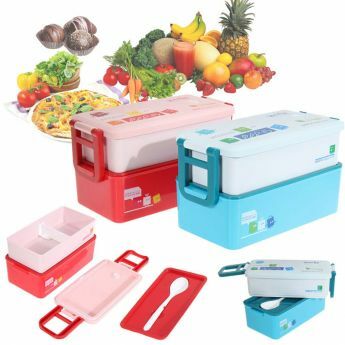 These stylish lunch boxes are also microwaveable and also can be stored in refrigerators and freezers.